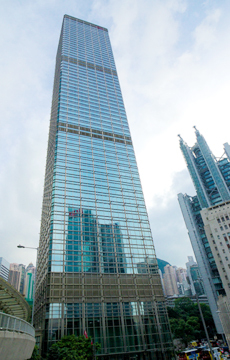 Building Description: Cheung Kong Center is known for its square conventional design that enables a more efficient use of office space as well as high ceilings which create an open and luxurious space. Glass walls also add to the aesthetic and offer panoramic views of Hong Kong and Victoria Harbour. Location: Cheung Kong Center is one of Hong Kong most prestigious and iconic building addresses located in the heart of the Central financial business district.Our offices share the same prestigious address as Li Ka Shing Cheung Kong Holdings and Hutchison Whampoa Limited, Goldman Sachs, Bloomberg, Barclays Capital, Blackrock and Och-Ziff. Please contact HKsales@compassoffices.com for more details.